So inspired this week by this stunning CEFINN dress! Isn’t that turquoise color to die for?! It’s such an elegant silhouette too. 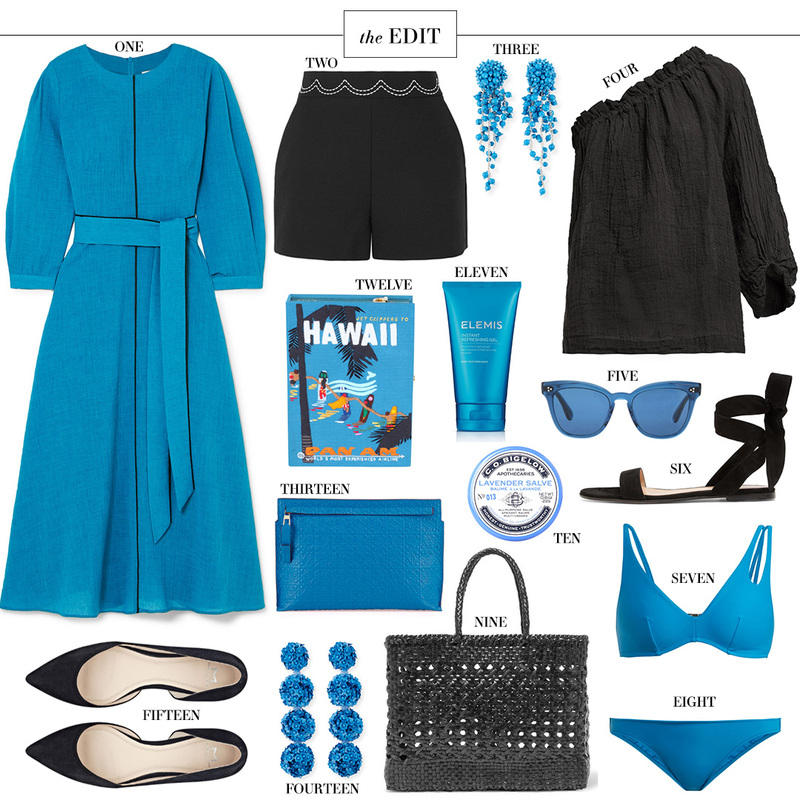 Clearly, CEFINN isn’t the only brand intrigued by this electric blue hue. I’m seeing it all over the place, from clothing and beachwear to bags and jewelry. Such a fun and unique color, don’t you think? If you need more beachwear ideas and inspo, I added a bunch of gorgeous new pieces to THE SHOP over the weekend… plus, this week’s TuesdayTen on InstaStories (today!) is full of warm-weather finds at a variety of price points!